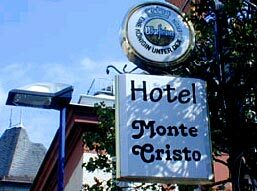 Set in the center of Offenbach am Main, just 6 kilometers from Frankfurt am Main and 15 kilometers from the Frankfurt International Airport, the Monte Cristo is a small city hotel offering friendly, relaxing atmosphere, ideal for families. Shops and restaurants are within 500 meters of the hotel and guests can visit the Offenbach's famous Shoe and Leather Museums (1.5 kilometers away). The hotel's 12 rooms are characterized by cream-colored dĂ©cor with oriental rugs and light-colored wooden flooring. 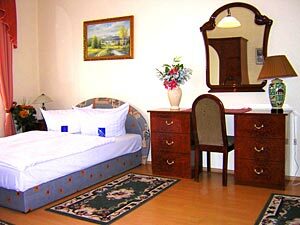 All rooms are equipped with cable television, mini-bar, safe and mini-fridge. Non-Smoking rooms available upon request. Guests can enjoy watching television in the lobby. 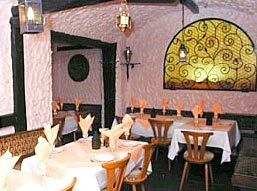 The Monte Cristo restaurant serves international and East European cuisine. It has an informal ambience thanks to its subdued illumination. On weekends, live music is being played in the restaurant. The hotel accepts major credit cards. 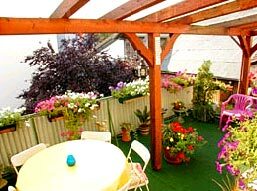 Discounts and internet promotions available if the reservation is made through this website. Prices are per room per day including Vat. Breakfast is not included in the price. Bookings outside the fair periods have a cancellation deadline of 5 days prior to arrival. In case of cancellation after the cancellation deadline, 100% of the whole amount will be charged to the credit card. In case of NO-SHOW without a cancellation, 100% of the whole amount will be charged to the credit card. 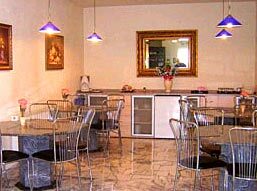 The Monte Cristo hotel is located in the heart of Offenbach city, close to Frankfurt am Main. From the airport, itâ€™s easy to get to the the hotel by direct suburban train, lines S8/S9, via Frankfurt city until the stop "Offenbach-Marktplatz". 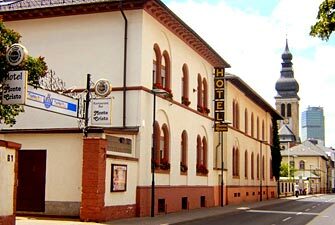 From Offenbach-Marktplatz the hotel is within a 5-minute walking distance (in the direction of Bieberer Strasse).